Public transportation is my temporal kryptonite–it brings out my impatience and inability to cope with all the “wasted” time in my life. But a few months ago, I had an experience on the subway that really put things in perspective, a painful reminder that no time is ever truly wasted. Hear more about it on the latest episode of Time Eternal. Did you like this podcast episode? 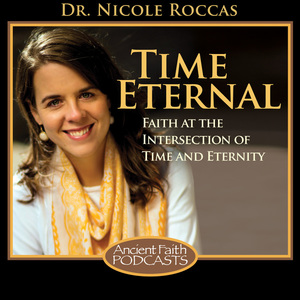 Help Time Eternal out by rating it on Apple Podcasts (formerly known as iTunes). It helps us figure out what you like so we can make better content! Also make sure to “like” Time Eternal on Facebook to stay up to date with all manner of timely thoughts and reflections. Show notes for "'Making' Time"
Show notes for "Falling Upward after Job Loss"